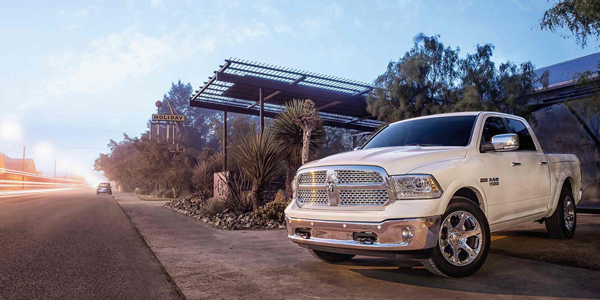 The 2018 Ram 1500 is the next in the lineup of Ram 1500 trucks to grace the world and the driving community. 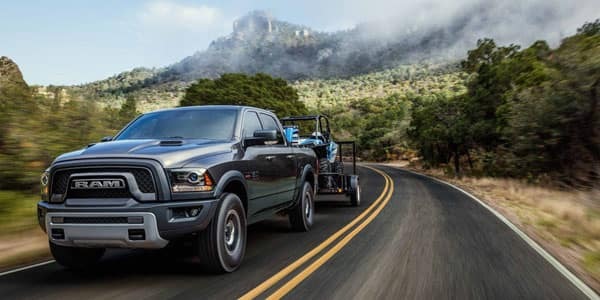 The 2017 Ram 1500 was awarded the Consumer Digest Best Buy award and this model year will likely follow suit.The 2018 Ram 1500 is loaded with safety and convenience features like technology to provide hands-free access to devices, your choice of cab to fit your hauling needs and three warranties to protect your investment. 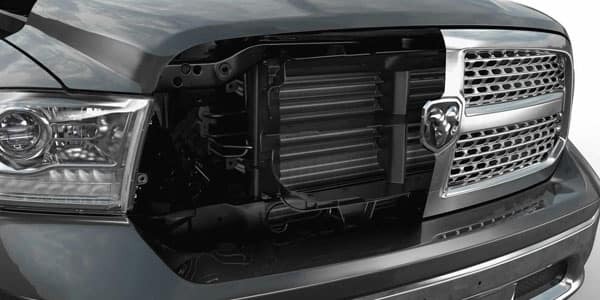 The 2018 Ram 1500 is made with a steel frame to give it the strength to carry the heaviest of loads and beams in the doors to absorb shock from side impact. The 1500 comes standard with a 3.6L V6 24-Valve VVT engine and achieves 17 miles / gallon in the city and 25 miles / gallon on the highway. 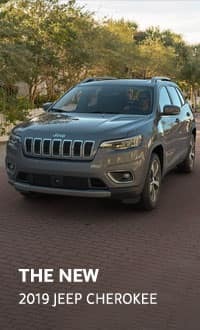 If you would prefer, the 5.7L V8 Hemi MDS VVT engine is an available alternative. With this engine, 2018 Ram 1500 has capability to achieve 15 miles / gallon in the city and 22 miles / gallon on the highway. 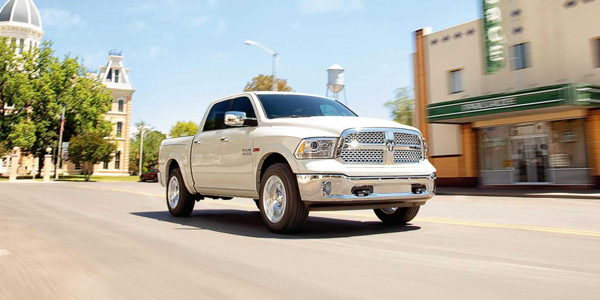 To protect your Ram 1500 in the event of damage, theses trucks can be purchased with a 5 year, 100,000 mile warranty for diesel engines or roadside assistance or a 5 year, 60,000 mile warranty for gas engines. The new 1500 is capable of towing 10,620 pounds and carrying a 1,880 pound payload when equipped with the 3.6L engine. With the 5.7L engine, the 1500 is capable of towing a maximum of 10,690 pounds and carrying a 1,720 pound payload. The interior features of the 2018 Ram 1500 vary by model but some standard features include auxiliary power outlets, dash liner insulation, driver and passenger handles, lighting in the passenger and cargo areas and safety precautions like seat belt alerts. 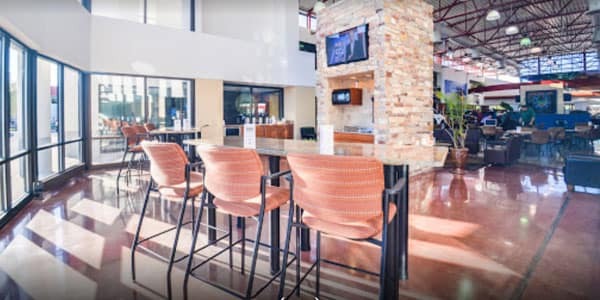 For a full list of available features, please browse our inventory on our website or contact a Champion CDJR Sales Associate. In addition to our Indianapolis location, our associates are happy to assist you where you are located. For more information about our mobile office, call a sales representative or complete the Contact Form on our website and we will return your inquiry. To ensure that our customers have an all-around pleasant experience with us, we offer a variety of financing specials. These include vehicle term leases, special pricing and financing on used vehicles, parts and services. A Champion Sales Associate would be happy to give you more detail on each vehicle that you may find to be of interest. 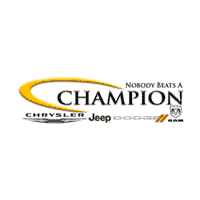 The friendly and dedicated team at Champion CDJR believes in only providing service worthy of your inner champion. We expect nothing less than the best car buying experience for all of our customers and our team delivers the best every day. This dedication has afforded us the fortune of being awarded a 5 star rating and achieving the highest sales volume. If you have not yet arrived at the need for a new car, we offer parts, maintenance and car accessories as well.